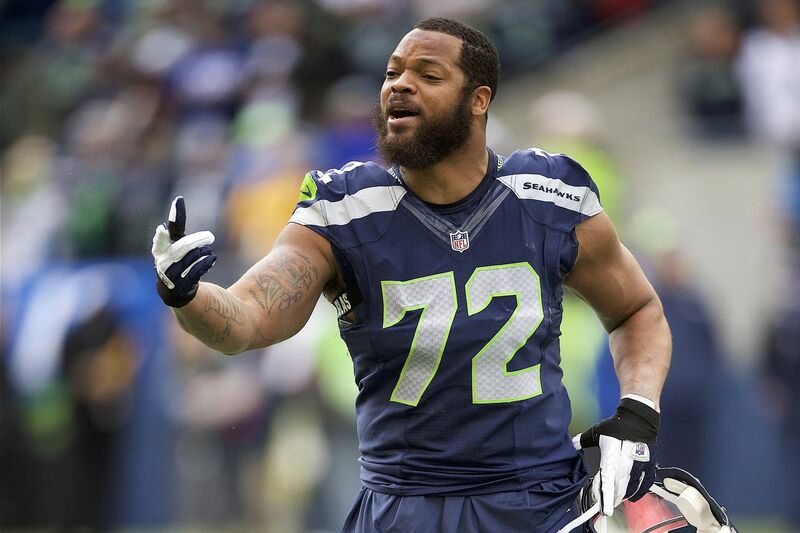 Michael Bennett was born on the 13th of November, 1985, in Independence, Louisiana although he was raised in Houston, Texas where he attended Alief Taylor High School. During his time here, Bennett showed his outstanding athletic ability playing football and basketball. He was also a member of the school’s track & field team. Nonetheless, it was in football that Bennett excelled as he earned first-team All-District honors in his senior high school year. After graduating from high school, Bennett enrolled at Texas A&M University. In his freshman year, he contributed to his team with 27 tackles and 3.5 quarterback sacks in 11 games. As a sophomore, he played in all his school games and recorded a total of 27 tackles. In his junior year, Bennett posted a total of 43 tackles to earn himself an All-Big 12 Conference team honorable mention. His final collegiate season came and he made a total of 42 tackles, including 12.5 for losses and 2.5 sacks in 11 games after which he graduated. Michael Bennett then went undrafted in the 2009 NFL Draft but was, however, signed by the Seattle Seahawks as an undrafted free agent. He spent a few months with the team before he was waived and then almost immediately, got signed by the Tampa Bay Buccaneers. His stay with the Buccaneers lasted until after the 2012 season when he rejoined the Seahawks as an unrestricted free agent. Bennett’s second stint in Seattle lasted for five years after which he was traded to the Philadelphia Eagles in 2018. Michael Bennett is said to have an estimated net worth of $17 Million which he has earned through endorsement deals and his various contracts in the NFL. 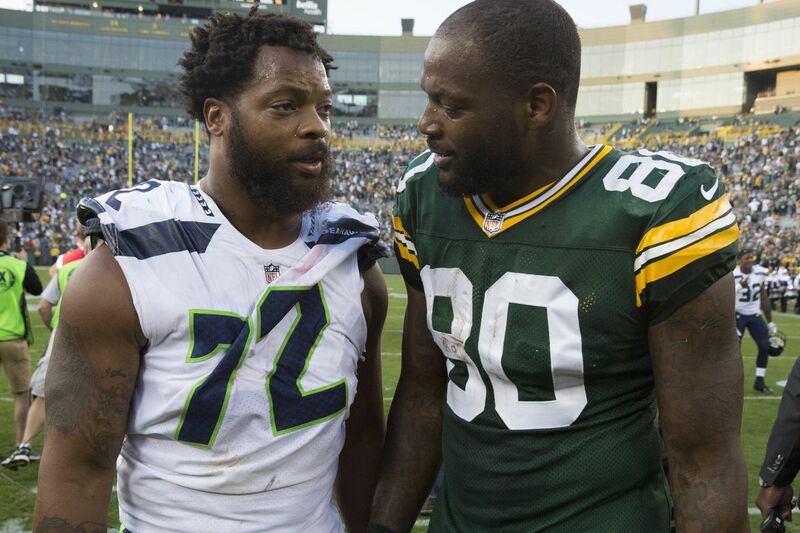 Bennett’s most recent deal was in December 2016 when he signed a 3-year $30.5 million contract extension with the Seattle Seahawks. This put his average annual salary just over $10 million. Michael Bennett is married to his high school sweetheart Pele Bennett (nee Partsch); he has been dating Pele ever since he met her at Alief Taylor High School at the young age of 14. The pair went on to exchange vows in 2012 at a wedding ceremony which was held in Hawaii, his wife’s birthplace and a place they currently call home. Together, the couple has three daughters; Peyton, Blake, and Ollie. They all contribute to the Bennett Family Foundation which is run by their parents. The foundation advocates healthy living practices such as gardening and growing your own food which Pele does in their family backyard. Michael Bennett is not the only athlete of his family. His younger brother Martellus Bennett played in the NFL for 11 years before calling time on his career in 2017. He did so because of an injury and also to pay attention to his career as an author of children’s book. Before being selected by the Dallas Cowboys in the second round of the 2008 NFL Draft, Martellus Bennett played college football and basketball at Texas A&M University, the same school Michael attended. In his sophomore year, however, Martellus who had declared for the 2005 NBA Draft out of high school, decided to focus on a football career. He played three college football seasons before joining the Cowboys. He spent four years with the side and then moved on to the New York Giants where he spent one year before joining the Chicago Bears for three years. In 2016, the Bears traded Martellus to the New England Patriots and he won Super Bowl LI with the team. After that win, he signed with the Green Bay Packers but was waived after a few months following the discovery of a medical condition which the team believed he had known about and refused to reveal. This gave room for Martellus to rejoin the Patriots after which he retired. Michael Bennett’s height is listed at 6 feet 4 inches (1.93 m), one inch more than that of the average NFL player and he weighs 274 pounds (124 kg).